A Toe in the Ocean of Books: Even briefer status report - published! I didn't manage to meet my deadline of 11th December, but I did manage to publish it four days later. As of I think Wed Dec 15th, it's been available on Amazon. Probably the best link to give is this slightly indirect one, via my Amazon author page L. J. Kendall. 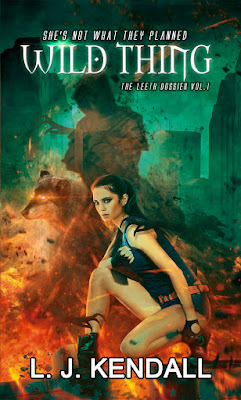 So, Wild Thing, Book 1 in The Leeth Dossier, is now available as an ebook. It's a sci-fi/fantasy novel. In a nutshell, it's set about 40 years in the future, 10 years after magic has returned to the world. A magical researcher acquires a young girl to test his theory about how to develop magical abilities in someone. But things don't go at all according to plan. 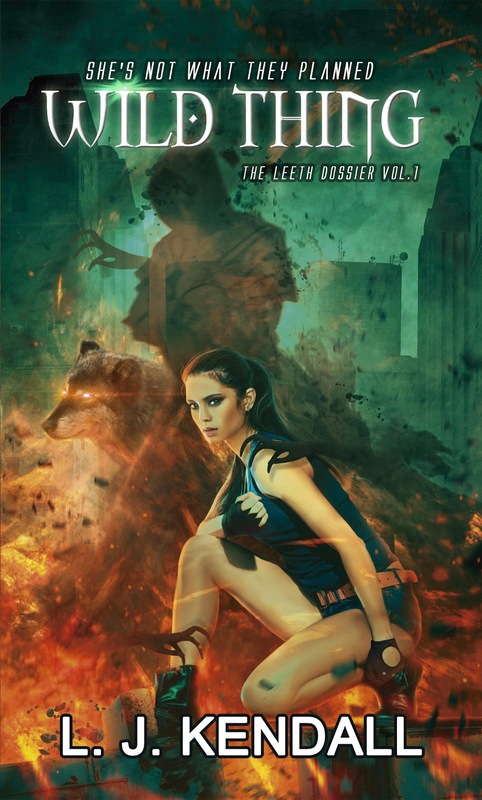 You'll see that for the cover I decided on the serene dog and the translucent monster - because they make more sense in the story context; and since I'm self-publishing, I can't claim "Oh, the Marketing Department chose that, don't blame me." I also approved the electronic proofs for the first of the print editions (the 5"x8" paperback) on Dec 31st, with IngramSpark. And I have the draft of a 20-page blog article on what was involved just on the ebook production side: which is too long and needs to be tightened up (soon) to post here; followed of course by a blog about the print book production. The paperback publication date is set at Jan 21st (2016), and I'm about to investigate the possibility of having a small book launch at the end of January. Oh, and I see that Amazon now also lists the paperback edition as being available for pre-order; and so too does the wonderful Book Depository - how cool is that? :-) I think it's still settling in at Booktopia: when I 1st spotted it, it had no cover image available; later, it disappeared entirely; now, it's back again, but not marked as available for pre-order (as it was, when I first noticed it there); and right now, if you click on the link they give for my name, it says "Sorry, no matches". So I think I'm still "settling in" to Booktopia's database. Anyway, I now have three reviews, two thanks to the writers at Amorina Rose - Barbara's one is here and Kay's is here, and one thanks to Aly at Riley Westbrook's blog. And all three reviews are at Amazon, too. I've also learned that Amazon doesn't make the new versions of your book available to readers who have already purchased it, unless the author contacts them with a reasonably detailed list of the changes made, to decide whether they should allow readers to request an update. Their stated reason for doing so is "customers may lose their highlights, last page read, bookmarks, and notes when they download updates"; and say they are investigating how to address that. But that doesn't explain why a reader shouldn't be allowed to choose to download an updated version when they wish - you could imagine a "You may lose your highlights, bookmarks, and annotations when you update - are you sure?" question to make that crystal clear. I suspect the real reason is to protect Amazon customers from the small (tiny?) percentage of authors who might play games of some form - e.g. removing a critical part to sell separately. But if that's the reason, those acts to me sound like cheating at best, and criminal at worst. IMHO, a much better approach would be for Amazon to investigate complaints and then come down on such cheats like the proverbial ton of bricks if they found the author had cheated. Surely, the vast majority of updates would be improvements; and the large majority of readers would want to be able to request the update if they chose to? I have to admit I don't really understand why Amazon has chosen to disallow updates by default!